Used the O-shaped runners (HO4-101) to give a strong sealed ceiling. 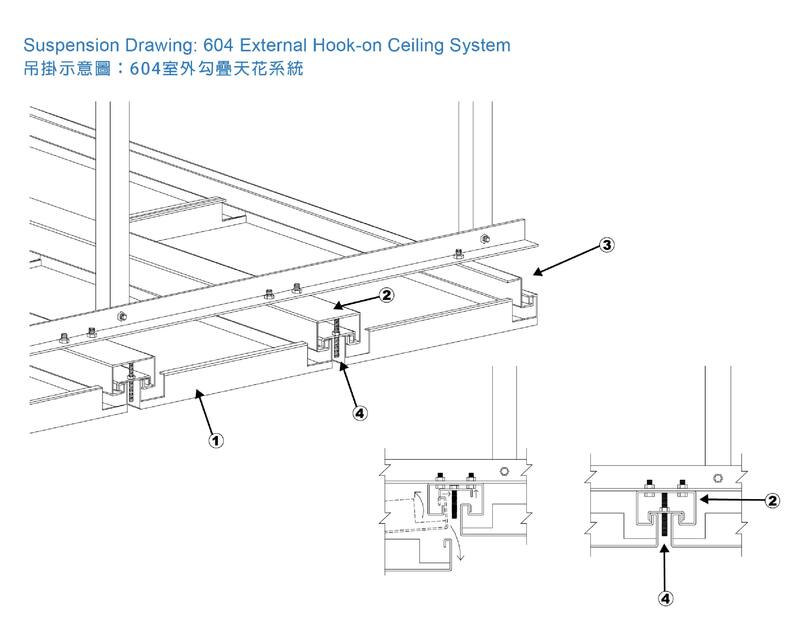 Installation of the Security Clip(HO4-102) enhances the ability of windproofing of the whole ceiling. All panels can be installed and demounted separately. Maintainance work of facilities like fire- fighting equipments, air-conditioning and electric appliances becomes more convenient. The ceiling is suspended by O-shape runner (HO4- 101) with skewers installing in the corner .